Before I get to the answer we have to lay a foundation. This is an essential question to anyone’s faith. Can you believe what is written in the Bible or is it just a collection of bedtime stories that we tell children before they go to bed, a sort of Aesop’s Fables with a good moral application? How can a person be expected to believe that Jesus Christ was raised from the dead if they can’t believe that Jonah was swallowed by a great fish? I think it is more than reasonable for a person to doubt the validity of the Bible but what is unreasonable is for a person never to pursue their doubts about the Bible. The Bible rests completely upon it’s claim that it truly is the Word of God. It cannot be “mostly” true, if part of Scripture is wrong what’s to prevent all of it being that way? Scripture is simply either Fact or Fiction. You see, the fact of the matter is that we dictate to God what we feel is possible or not. The Bible tells us for 40 days the flood kept coming upon the earth. Think about that for a moment, 40 days of rain, floods and tsunamis. 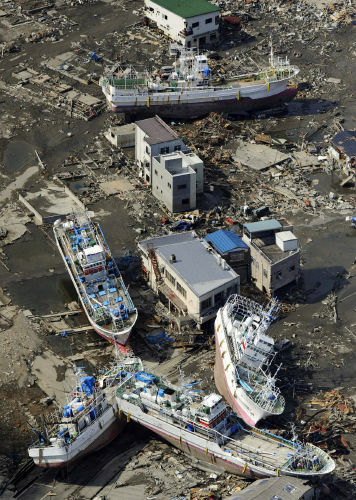 I saw the power of one tsunami over the course of an hour, can I even begin to fathom what the earth would look like after 40 days of that type of devastation? Yes, you can believe the Bible. And for a book that has been constantly under attack for the last 2,000 years, I think it’s made a pretty strong case for itself as Fact, not fiction. Really enjoyed this post. It’s those who do not believe that tug at my heart strings most and I am always seeking out the best answers to their sincere questions. When you allow fact to follow your faith, it makes perfect sense; but for the faithless fact needs to lead the way. How great is it that all the facts point to the truth of God’s word. As a fellow blogger for Christ I thank you for your heart to spread the word! Thank you for your uplifting words and for all that you are doing to build the kingdom of God too!